to the 24th Annual Parallel Data Lab Workshop and Retreat. More details will be added as the retreat approaches. Reserve a room for the night of Oct 16. Reserve a room for the night of Oct 19. 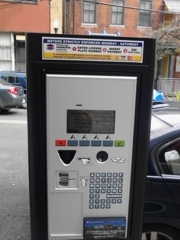 While we assume most of you will use the shuttle PDL will provide, there are parking machines on Schenley Drive, Frew Street, and Tech Street which are all very near to Roberts Hall. They accept currency and credit cards; it is $3.00 / hour and uses your license plate as the timing factor. If you prefer, I should be able to secure a parking pass for you at the RMCIC Building Garage - P4 on the general campus map (closest) or the East Campus Garage - P7 on the map (further walk but more familiar to some of our guests). 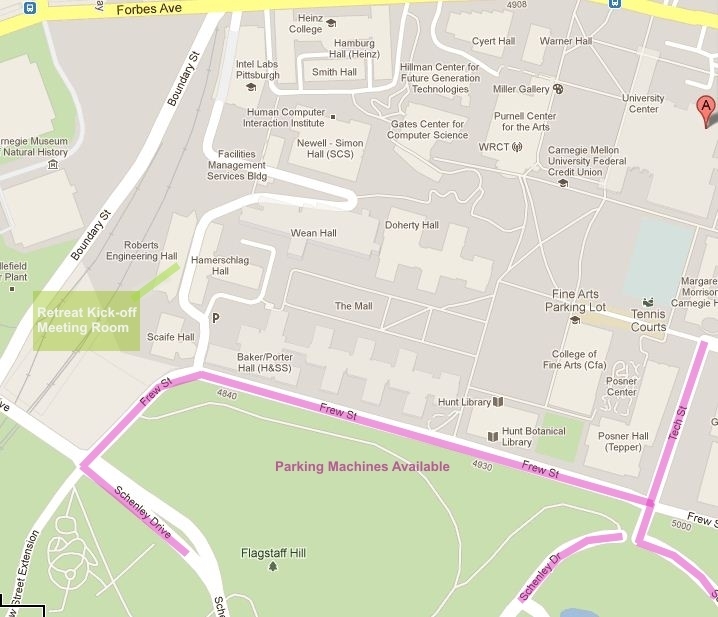 Some past attendees have also used the parking lot at the nearby Carnegie Museum (also shown on the map). Your hotel room at Bedford Springs will not be individually available. Karen will be given all of the room keys, and they will be distributed during our breaks. We should arrive at the resort in time to start our first talk at the resort around 2 pm on Monday. Our talks will be held in the Colonnade (right up the main stairs in the lobby) and our first meal will be held around 6 or 6:30 PM in the Eisenhower Room which is one flight up from the meeting room.